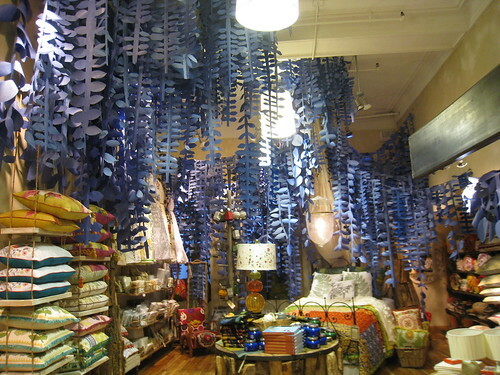 I stopped into Anthropologie tonight to see if they had anything fun on sale. 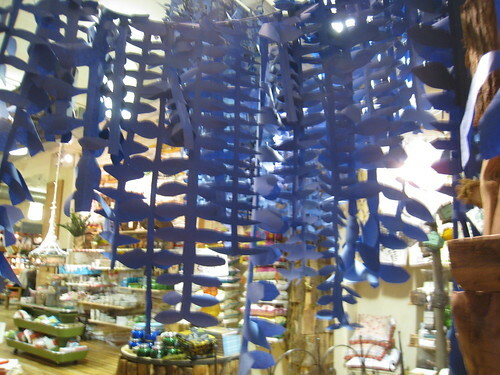 I didn’t really find anything I needed. 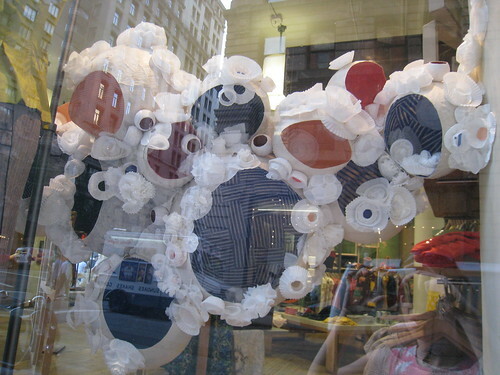 I was able to take some shots of their new windows and inside the store a fun fauna like display. 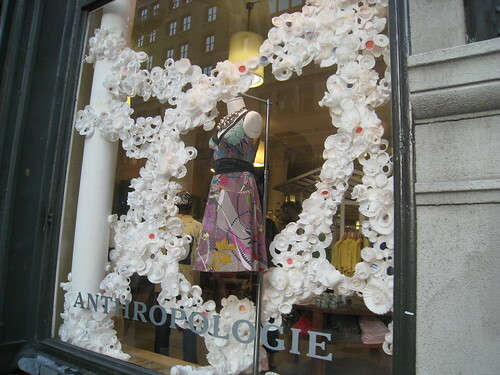 Anthropologie should publish a book on decorating. 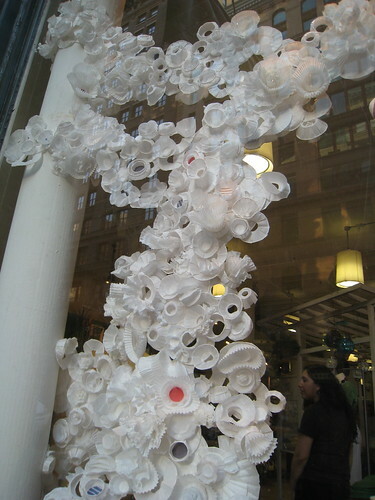 I am sure it would be amazing and be filled with so many creative diy projects using household materials. 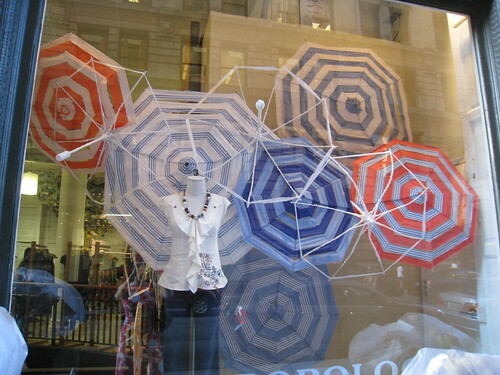 I love the new displays that use simply paper cups, paper mache, and fabric for the umbrellas. I would love if they would put out a book like that! 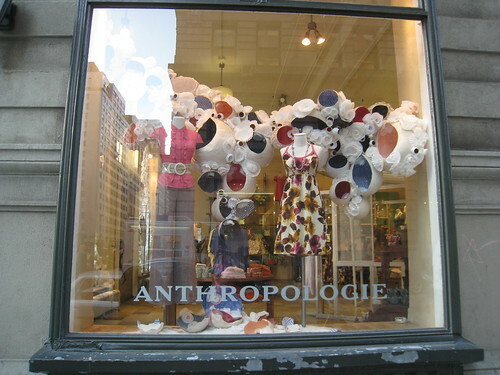 I want to buy a gift for my roommate and she is in love with the Anthropologie’s window displays and she is incredibly passionate about prospectively creating and designing window displays for Anthropoogie one day, and a book would be the perfect thing for her.